Senior Lecturer John Ip, writes of his colleague, Dr Arie Rosen. 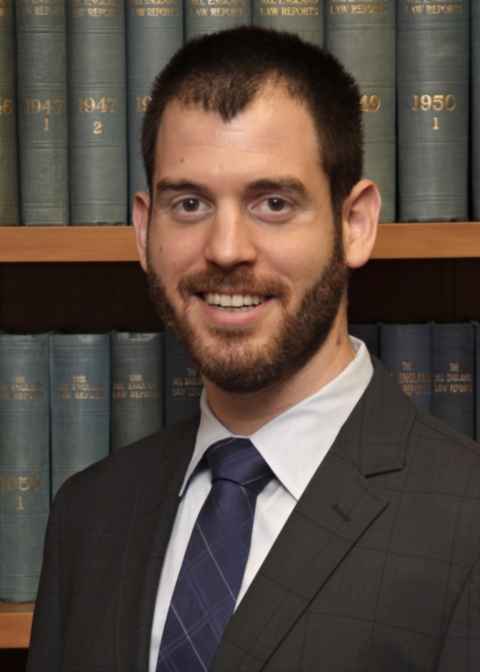 Dr Arie Rosen is a legal philosopher and theorist with research interests spanning general jurisprudence, statutory interpretation and contract law theory. "Dr Arie Rosen researches and teaches across different areas of legal theory. His published work appears in the Oxford Journal of Legal Studies, the University of Toronto Law Journal, the Canadian Journal of Law and Jurisprudence, among other international publications. Arie’s general interest in authority has developed into three interconnected strands of research. The first strand includes analytical work in general jurisprudence regarding the nature of authority and the concept of law. The second involves the study of legislative authority and statutory interpretation. The third strand—and the focus of Arie’s current research—concerns the relations between democratic authority and the content of contract law. Arie’s research is admirably granular, and not satisfied merely with elegant analytical moves, but always concerned with demonstrating why legal theory matters to legislators, judges, policy-makers and lawyers. Nowhere is this more evident than in his research project, funded by a prestigious Marsden Grant, which examines the ways in which contract law is insulated from democratic change, with an emphasis on the role played by judges, the legal profession and legal academics in influencing legislation in this area. In terms of teaching, Arie has taught Law and Society, Jurisprudence, and the Theoretical Foundations of Private Law. And he has done so with characteristic rigour and passion. The most obvious signifier of Arie’s excellence as a teacher is his being awarded a Faculty of Law Teaching Excellence Award, having done most of his teaching in the compulsory Jurisprudence course. But it can equally be seen in the level of student engagement with Jurisprudence, the number of students who now seek him out to supervise theoretically-minded dissertation topics, and (less scientifically) in the number of glowing comments that I periodically hear from students. Since his arrival at the faculty in 2014, Arie can always be counted on to advocate for the wider incorporation of theory into the study of law, and for the enhancement of intellectual life within the Faculty. In relation to the latter, his instituting and organising of a regular programme of Faculty workshops stands out. Arie graduated BA, LLB from Tel Aviv University, and completed his LLM and JSD degrees at New York University’s School of Law, where he held the Emile Noel Postdoctoral Fellowship at the Jean Monnet Center for International and Regional Economic Law and Justice, and served as Associate Editor of the International Journal of Constitutional Law."